Izzy doesn’t suffer fools and she doesn’t take prisoners, so when one of the local mobs takes her father captive, she’ll stop at nothing to free him–even if it means taking on the mysterious men of Blackwood Forest herself. 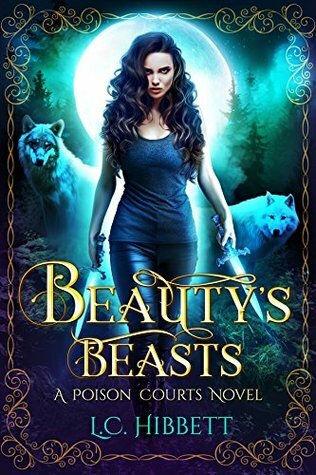 This book tries very hard to be two things: a unique fairytale retelling, and a romance. It succeeds at one of these things. I thought it quite ingenious the way in which the supernatural was intervened with the age old story so many know and love. What wasn’t really that enthralling was the romantic aspects of it. There were cute, fuzzy moments, but the only real steam in the novel came from the scene with Izzy and Faye in the shower. If you’re here for a fairytale retelling and not the romance, then you may enjoy it. What got me was the amount of grammatical errors. I lost count after five. Random missing words made sentences awkward and made sections quite tedious to read as you had to think for a moment what the missing word probably was. Story was unique, and you can’t beat the free kindle unlimited price, but even so, I don’t intend to continue with the series after this novel.